The Warriors went into this game with the same team that had beaten Rangers U20s in the Irn Bru Cup on the previous Wednesday. That win should have lifted the confidence in the team after a previous run of defesats. Several players had picked up niggles in the Rangers game but were all passed fir for this Labrokes League One encounter. Livingston were relegated from the Championship last season but have done well this season and the full time outfit are looking to bounce back at the first time of asking. Several of their players were part time last season with Airdrie but they all looked to have developed with the extra training. It is safe to say that the Warriors didn’t get off to the best of starts and found themselves on the back foot after conceding a goal in less than four minutes. It was a simple goal and the manner of it would have worried Brown Ferguson. The ball being played in from the right wing for Danny Mullen who got in before his marker to slide the ball home from close range. Colin McMenamin hit a decent snapshot that Liam Kelly saved in the 12th minute. Gradually though the home side took control and Liam Buchanan brought out a save by McCabe and another effort blocked for a corner in quick succession. In the 23rd minute though Livingston extended their lead when Scott Pittman [son of ex-Warrior Stevie] was allowed to turn and shoot a low drive into the net. Although the execution of the goal was top class the defending once again was weak but more importantly the chance should never have came about as the ball had went out of play in the build up. To their credit Stenhousemuir reacted positively and Kieran Millar glanced a header from an Alan Cook cross just wide in the 26th minute. Just after this a Jamie McCormack pass picked Millar out again but he lacked support when closed down and the chance went. The Stenhousemuir management felt that there should have been a penalty for the visitors when Colin McMenamin went down in the box after an apparent push but no award was forthcoming. 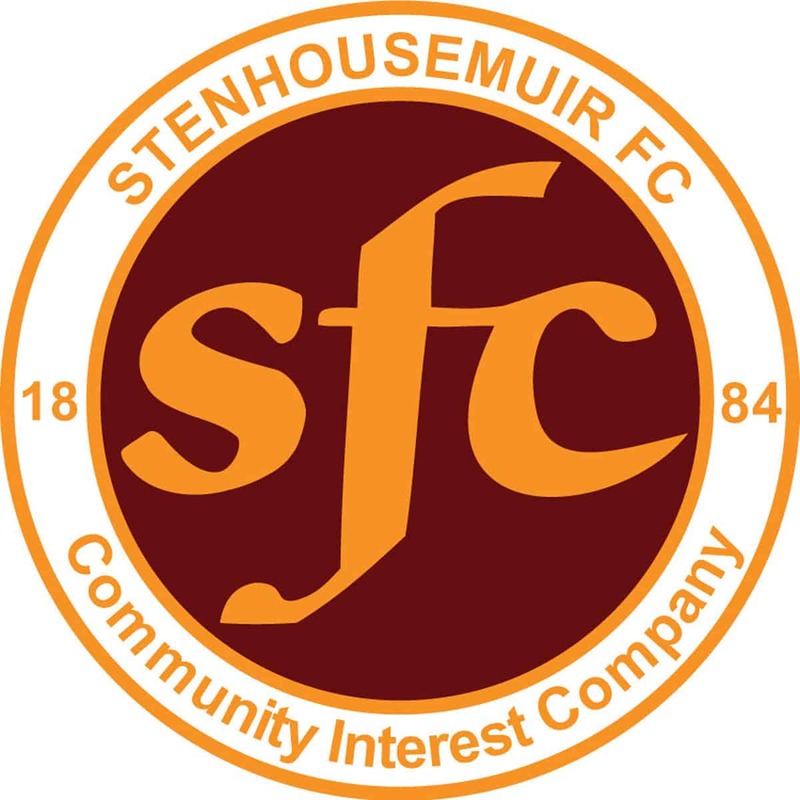 Despite being under pressure after the early setbacks Stenhousemuir would have been hoping to get back into the game after the resumption. The home side had started the second half of games slowly in their league matches but this was not to be the case this time as they scored their third goal in the 49th minute when a cross by Pittman picked out Mullen once again to tuck home. The quality of the cross was in marked contrast to the defending. After that the home side created a number of chances but failed to make their superiority count. Stenhousemuir suffered a set back just after the hour when Vinnie Berry limped off with a hamstring injury. His replacement David Sinclair saw a free kick saved after 67 minutes but the bulk of the play was at the other end and it came as no surprise when Livingston scored their fourth though once again it had a touch of good luck as Jackson Longridge’s cross appeared to take a deflection to divert it into the net. As the game progressed Alistair Roy made his debut on loan from Hearts and he was to make a contribution to the Warriors consolation goal as he was adjudged to have been fouled by Alan Lithgow as he was about to get on the end of an Oliver Shaw pass. Colin McMenamin stepped up to convert the spot kick in time added on. Livingston – Kelly, Miller [b75], Lithgow [b90], Longridge, Halkett, Buchanan [Watt 66], Bryne, Pittman, Cadden [Allan 75], Creighton and Mullen [Orr 79]. Subs not used – Maley, Sinclair, Neill and Mullin. Stenhousemuir – McCabe, McCormack [b56][Roy 62], Hamilton [b44], Meechan, Kerr, Berry [Sinclair 62], Millar, Stirling [b35] [Shaw 79], McMenamin, Gilhaney and Cook [b82]. Subs not used – McCroary, Smith, Howarth and McMaster.